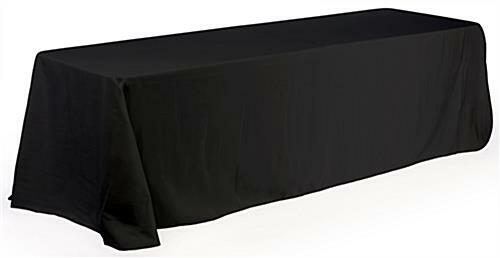 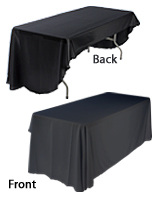 This table with black tablecloth makes a great portable booth with its folding plastic tabletop. 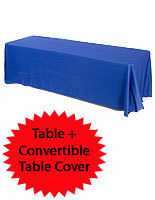 Each cover is made of polyester that can conveniently be cleaned in a washing machine. 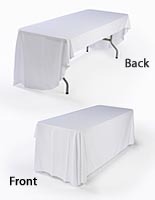 The folding table's linen is 3-sided and will leave the back open for storing supplies. 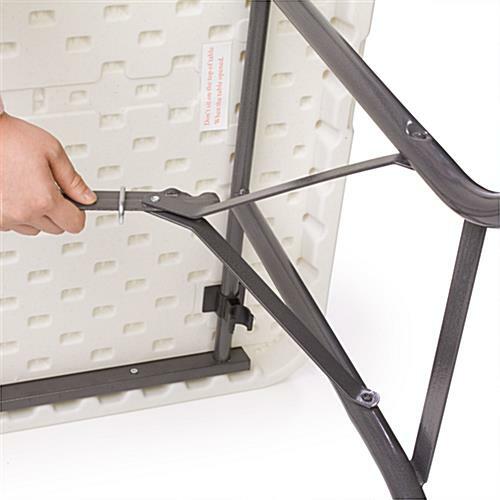 The portable booth features strong metal legs that can fold up when needed. 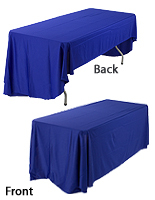 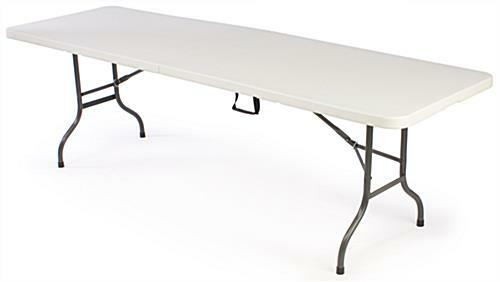 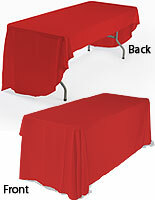 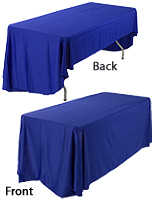 The table and cover set is great for bringing to events with is lightweight fabrication and folding design. 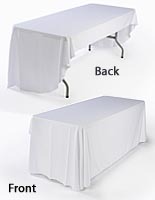 The plastic fixture measures 8' wide and stands 29" tall when set up.